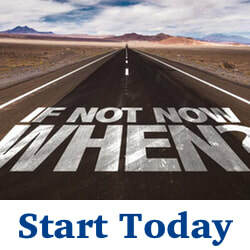 Start advertising today! 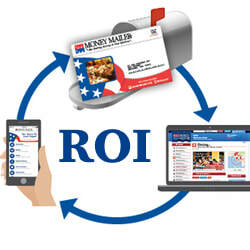 Money Mailer Irvine can help you grow your business! 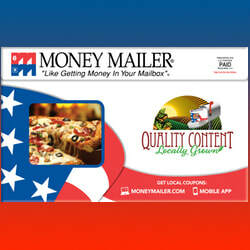 Money Mailer is the jumbo sized red, white and blue envelope that contains advertisements and coupons from local and national companies. These envelopes are delivered to homes across the country targeting 25-54 years of age, mailed monthly and available on the web and mobile devices. Money Mailer is a low cost, high impact investment with incredible ROI for your business, where you can advertise in the areas you want to target. 65% of Americans who purchased a product or service did so as a result of direct mail, and 50% of our subscribers use 3 or more coupons in the jumbo envelope. All mailers are sent monthly, and are prepaid before being sent out, giving your business an ease of mind and assurance. Consumers rated direct mail as their preferred and most trusted source of marketing information, and left a deeper impression on them over time. Coupons and Print materials are visually motivating and STILL one of the best way to reach customers daily. 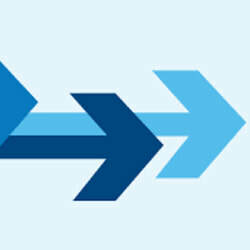 Direct mail excels at increasing market share by reaching thousands of customers per month locally and nationally.